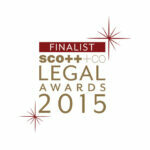 An award-winning law firm offering representation to clients throughout Scotland. We offer award winning legal guidance and representation to clients throughout Scotland. Whether you are buying or selling your home, making a Will, looking for a family lawyer, in trouble with the police, or needing to save your driving licence…Scullion LAW will work hard to get you the positive outcome that you deserve. Leave your worries at our door and let us look after you. 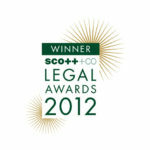 Scullion LAW was founded in 1979 by Nicholas James Scullion and his wife Dorothy. It is now run by brothers Nicholas and Nigel Scullion with marketing support from their sister Diana and a strong, loyal team of 40 legal professionals including lawyers, paralegals, clerks and talented administrative support. Together we create the Scullion LAW family. We are spread over three offices: Glasgow Saltmarket, Glasgow West End and one in Cadzow Street Hamilton. Our team are highly experienced, energised and committed. We are all are fuelled by a passion for customer service and a love of the LAW. We are very proud of our commitment to staff training and professional development and will always work tirelessly to get you the best possible outcome. Trust in us. THANK YOU, great result for my wife the other day. You achieved the best outcome possible, license and employment intact! Very impressed with how you conducted the proceedings, a consummate professional, polite, clear and to the point on the facts. We both appreciate your guidance and support and would recommend the services of Scullion Road Traffic LAW to anyone facing any traffic endorsements. Great Job! The team recently assisted me with a house purchase. The whole process was easy. I was kept informed at every milestone and anytime I was asked to provide information it was clearly noted. The fact they have three offices really helped, I passed everything in through the Glasgow Office which made its way to my solicitor. I would use Scullion LAW again in a heartbeat. Thank you guys! Mr Scullion – thank you so much for everything that you did for me at the court! You did a fantastic job and are the very best within your profession. It was great to have met you and my family and I are so happy this nightmare is over. We will definitely be recommending your services to others. Thank you for your help drafting my Will. I think the work you do with Marie Curie Charity each year is to your credit and really demonstrates what an excellent community driven law firm you are. If only I had realised how easy and straightforward it would be to create a Will I would have done this years ago. Can I take this opportunity to thank you all at Scullion LAW for your assistance in dealing with my separation, house sale and subsequent divorce. 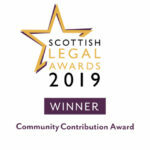 Since 2010 we have won 5 national legal awards including Criminal Law Firm of the Year, Specialist Lawyer of the Year, Paralegal of the Year and the prestigious Community Contribution Winners 2019.